My thoughts turned to the world of presenting when I read this, yet again, on a visit to tire business. The lament of those who seek to break out of the usual paradigms but who feel held back by the dominant way of doing things. As regular readers will know, I’m forever on the lookout for explanations for why the world of presenting is so… mediocre, when we have at our disposal such wonderful tools to allow us to share what’s in our heads with those around us. I remain particularly appalled at the lack of progress being made by those who use slide show software, such as Powerpoint and to a lesser extent Keynote, when there is a body of knowledge from the world of multimedia training that exhorts us to do away with the usual, and proceed with the less-than-usual which has an evidence base to support its takeup. The relationship between the eagle and the turkey suggests that it is not an easy or simple procedure to lift oneself above one’s peers and perform the unconventional. That there is a weight of social conformity that keeps us close to the ground and not excelling. 1. “There is not enough time to develop visually rich slides. It’s a better use of my time simply to write out my presentation, then transfer it to slides, and add bullet points and subheaders. 2. Everybody in my faculty/business does it this way, and I’m not one to rock the boat. 4. When I open up a new Powerpoint or Keynote file, I’m presented with a Header and subheader, and first bullet point. Isn’t that how you’re supposed to present? 5. My marketing department demands my slides have a certain look and feel. I can’t breach their requirement. 6. It’s too hard to locate royalty-free images in the time I have to write my presentation. 7. No one ever showed me another way to present. 8. 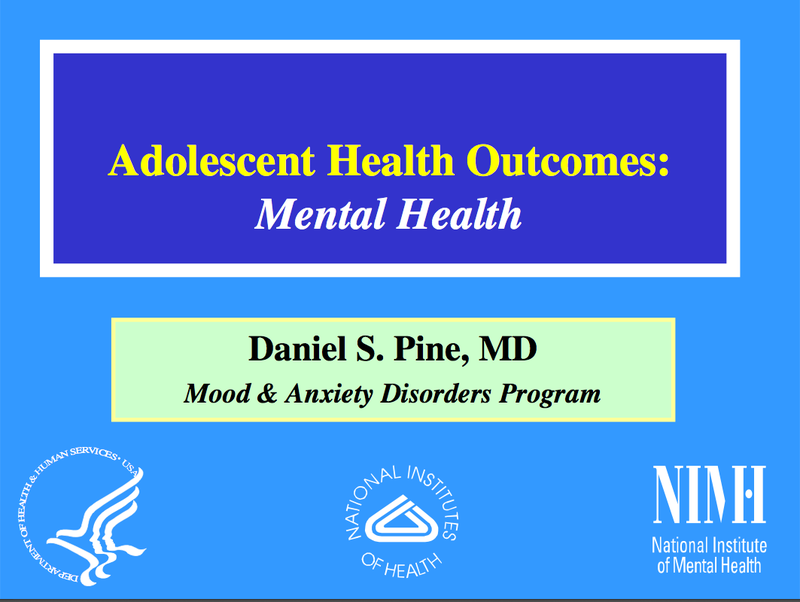 My students want my slides to have all text and room to write on the documents I hand out. I can’t argue against that. Now these are the overt, spoken reasons I hear when I do my Presentation Magic workshops. And I need to prepare in advance my rebuttals in a manner that does not belittle the questioner but raises the possibility that change is likely and manageable without too much relearning. But in the field of social conformity, which is one of the major reasons presenting has been so slow to change, it’s the unspoken norms which must be addressed. It’s the idea that some people don’t know the question to ask (about how to change) because they don’t see why change is necessary. 2. I didn’t get what I expected. I got so much more. You’ve made it really difficult to go back to how I was presenting before because it’s so clear to me now that I need to change. When is the follow up workshop! I kid you not – this is what I hear over and over again. Even amongst my colleagues who are slowly coming around to acknowledging the important of presentation skills in their work as psychologists, their own experience of the workshop is sufficient to shift their thinking. 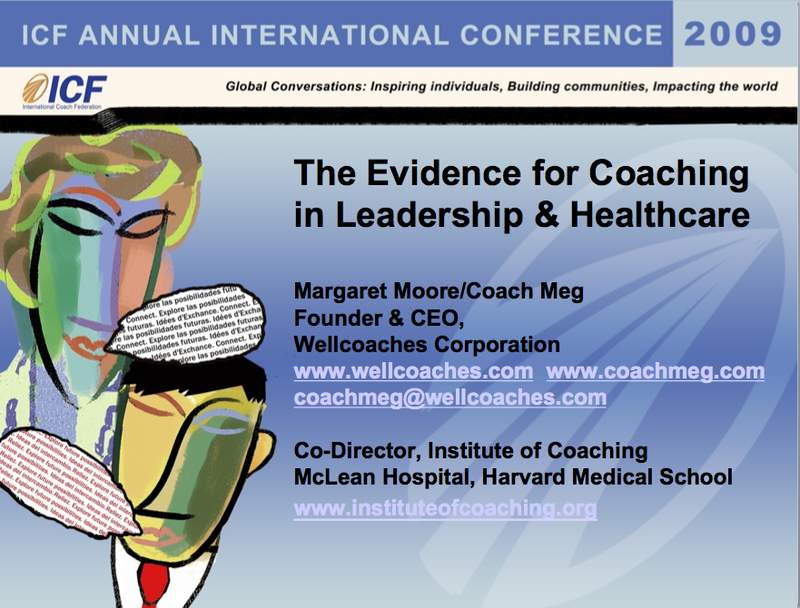 The evidence base I demonstrate and refer to (by other psychologists such as Richard Mayer and John Sweller, as well as Stephen Kosslyn and Michael Gazzaniga) helps support what I’m doing but it’s the attendees’ own experiences within the workshop that are the most persuasive. Sit, wait for a server with a menu (if one isn’t on the table already), peruse menu, get waitstaff attention, give order, wait for meal to arrive, eat (with or without added liquid refreshments), seek bill, pay, leave. 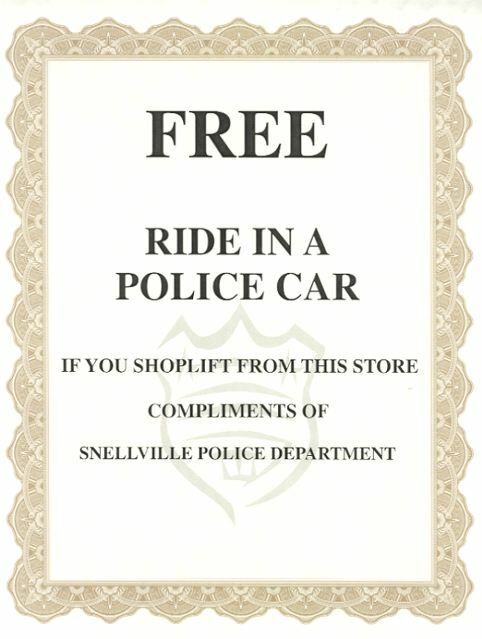 (One could add “refer restaurant to social media like Yelp to make comment” if it fits). Occasionally, affordances get it wrong. I remember a local bank I used to visit where to leave the bank you pushed the door outwards. There was a sign saying “PUSH” to assist your actions, since doors can also be pulled inwards. But underneath the PUSH sign was a handle whose affordance was to hold and PULL it. I often just stood near the door, with my banking done, and watched how many people pulled on the handle even though the word above the handle specifically said, “PUSH”. The affordance offered by the handle superseded the word’s affordance. When things like this go against our expectations, and we try one or two times to make things happen they way we expect them too – and then they don’t – we can often experience a surge of panic, not knowing what to do because our usual assumptions are broken. Eventually the bank learnt of its design error and removed the handle, leaving behind a flat plate whose affordance was “PUSH ME” aided by the word “PUSH” above it. Many Macintosh users who often say about their computers “It just works”, speak not merely about reliability of the hardware. It’s also about the Human Interface Guidelines which have been part of the software design rules for twenty-seven years. It’s why so many users rarely open a software manual, preferring to let the interface “rules” common amongst all applications guide them. From freeware to shareware to expensive commercial applications, there is a similar “look and feel” across applications. Until of course, Apple decides to break its own rules when updating system software or differentiating between consumer or professional software, such as iMovie and Final Cut Pro (at least until Final Cut Pro X is released soon). The same can now be said for the iPhone and iPad. By having the software change according to user need (“I’m going to make a phone call now; I’m going to check my voice mail; I’m going to watch a video“, etc.) these devices get around the physical limitations of their competitors’ hardware, and which is why the iPhone in 2007 so shook up the mobile phone marketplace. The easy transfer of user interface knowledge between iPhone and iPad mean that owning one of them easily lends itself to knowing how to use the other. If you have an iPhone yourself you will have noticed what I’m referring to many times, perhaps now with greater awareness. But at 24 secs in the YouTube video notice next to the right arrow at bottom left of the screen how a light seems to shine from left to right telling you to move the arrow in that direction. So, not only do you have the arrow icon itself, you have an animation that completes the message of what to do – slide it to the right for an action illustrated to take place. If you have your iPhone on lock automatically, you’ll see the same animation highlighting the words “slide to unlock”. When you wish to switch the iPhone off by pushing the top button, a red arrow appears at the top of the screen with the same animation highlighting “slide to lock”. So we have two different messages, illustrated the same way but offering the same affordance to deliver opposing messages. They are separated by location and colour, so as to reduce confusion. In a similar way to take a call, the “Accept” button is highlighted in green, and the “Ignore” in red, conventional colours for “go” and “stop” which you’ll see even on rudimentary phones complete with matching phone icon. The animation of the “slide to unlock” words is something I’m working on emulating in Keynote, by the way. It’s not as simple as it looks because I want only the letters to highlight, not the spaces in between. Otherwise, it would be easy to do by moving a white shape with shadowed edges and partly transparent over the letters. I only want the letters to sparkle. I’m guessing the next version of Keynote may include these kinds of effects, and indeed many of the features which make the iPhone so easy to use, like the screen glowing where you touch it, or numbers of the keyboard highlighting in blue, are the sort of call outs I discussed with the Keynote team when I visited them in Pittsburgh almost two years ago. I hope they took heed for Keynote ’11. So let me get to the main point of this blog entry. All around us, sometimes in plain sight and other times outside of our immediate awareness but visible once we are directed to see, are affordances that let us know what to do. They require no further explanation, have immediate impact, and often are language-independent. Such affordances often last the test of time, and become cross-cultural icons. If we have to think too much, the affordance is not that at all, but an interference, such that we have to slow down (if we’re driving for instance) or go back for another look, or we get confused and flummoxed. For instance, imagine a flight crew in a 747 when the interior lighting during an evening flight is momentarily lost due to smoke in the cabin or a fuse blows. As much as crews train repeatedly in simulators so they know where to place their hands in the dark when reaching for controls, in a moment of high arousal, even the highly trained can lose the plot. So aircraft developers have offered affordances to reduce the cognitive load or thinking burden in emergencies. 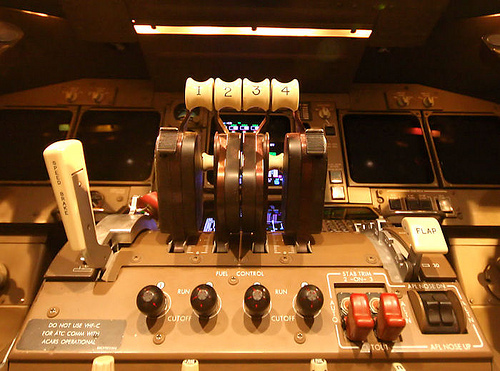 Take a look at the centre controls of a 747, below. Each important control has its own shape, so that without looking the pilot has “haptic feedback”. That is, he or she can feel by the shape of the control, which moving surface or unit it controls. Flap settings, which extend and add curvature to the wing to aid takeoffs and landings is shaped like a wing cross-section, known as an aerofoil. The speedbrake, which controls moving surfaces on the top of the wing to aid in fast turns, rapid descents, and to help the aircraft “stick” to the runway on landing by destroying wing lift, has a unique shape. The undercarriage retraction lever has a rolling wheel on the end of it (not shown). And the many other controls also have unique shapes connected to their shared purpose. One of the things I like about Keynote, for instance, is that the main controls are kept simple and uncluttered. Other controls, for more subtle adjustments, like timings and text properties are kept in the Inspector panel which can be moved away or shut down, or duplicated if need be. It has been this way, with minor variations since its introduction in January, 2003. Powerpoint for Windows has undergone various more radical shifts from Powerpoint 1997 through to 2000, 2003, 2007, and now 2010. Along the way from 1997 to now, Windows itself has been revised in its “look and feel”, from Windows 95, Windows 98 (and 98SE), Windows Me, Windows 2000/NT, Windows, Xp, Windows Vista and now Windows 7. Mac OS X has undergone its own changes too since Keynote was introduced when the current system was OS 10.2 Jaguar, which many including myself would suggest was the first version of OS X which allowed one to put the previous system, OS 9, to final rest. 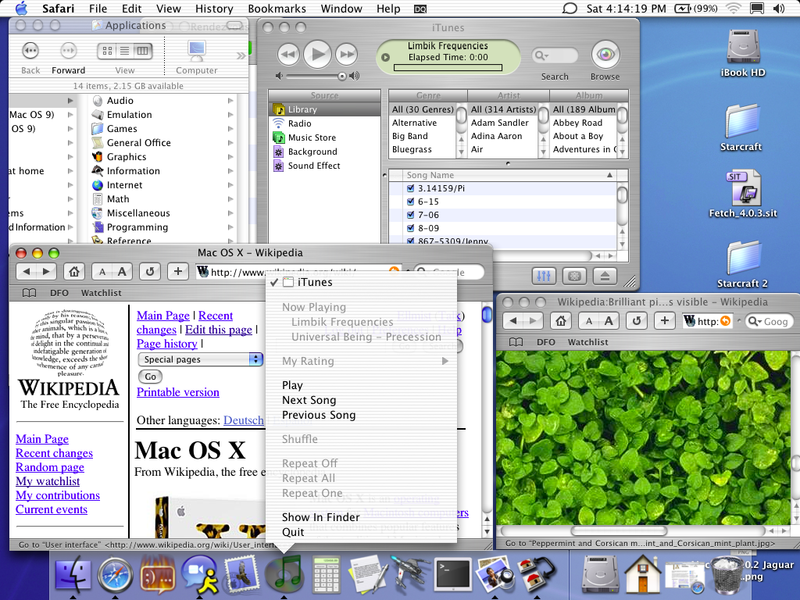 At the time of Keynote’s release then, the current Mac platform was Jaguar and the current Windows version was Windows Xp. This version was current (with the addition of various performance packs) from 2002 until Vista’s release to the public at the beginning of 2007, a very long time in computer measures. So from the introduction of the first really useful Windows version (Windows 95) until the introduction of Vista, some twelve years elapsed. In all that time, the look and feel of Windows was very much the same, even if under the hood, extra measures in security and operating finesse were taking place. Let’s have a look at the typical look and feel that Windows users were afforded during these times, which also marked the ascendancy of Powerpoint as the default slide presentation tool for academia and the enterprise, as well as the military and government sectors. 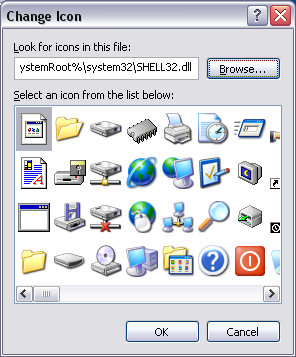 The best way I think to examine this look and feel is to review the icons Windows uses to tell the user what’s happening, and what to push to get something happening. 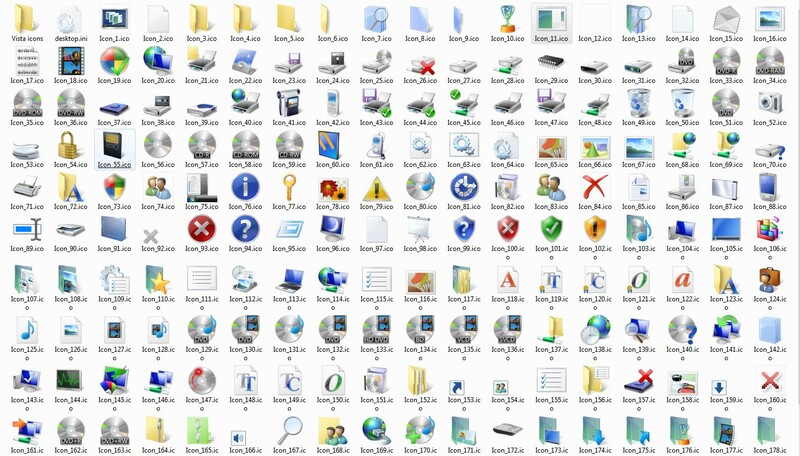 Many Mac and Windows will be familiar with these icons. They are short cuts if you like which clue you in as to their functionality without the use of verbal descriptors. In the main, they are unambiguous, as they should be. A few require some prior knowledge of their purpose and functionality. Notice, above, the icons in the Dock. Ever since OS X with its Aqua “lickable” interface was introduced by a synesthetically-oriented Steve Jobs in 2000, it has incorporated photorealistic icons together with animations to indicate what it is and what it’s doing. Remove an icon from the Dock and it disappears in a puff of smoke. Laughable if you’re a Windows long time user, but unforgettable if you have been around the Mac world long enough. But Apple also introduced CPU-cycle sucking shadows around its windows to help display front and rear proximity, and indeed it appears giving OS X the perception of depth has been an important interface element which extends to iDevices too. In my Presentation Magic workshops, I spend a lot of time on best utilising the illusion of depth on slides to keep audience engagement high, and direct eyeballs where I want them to go, in anticipation of the next element to appear. Shadows are but one element influencing depth perception, by the way. Click on an icon in the dock and it bounces while it opens, to indicate something is happening. For some people using the new App Store, the leaping of a downloaded app into the dock is a little too much perhaps! But this leaping effect also occurs when you download more podcasts on your iDevice, when the number of the downloaded podcast leaps from the “Install” or “Free” green rectangle to the bottom tray, flashing in red to tell you a download is underway. As Mac OS X has evolved, its system icons as well as that of third party apps have also evolved and continue the theme of realistic pictures conveying some meaning other than being a place holder. Indeed, one of the things Mac users look for when purchasing apps, especially those that have been ported from Windows, is the look and feel of the apps’ windows and folders. If it looks too Windows-like, one’s expectations that it will behave like a Mac app also falls away. This is a halo effect of course, and may not turn out to be true. But looking like a Mac app inspires confidence, and helps transfer learning from familiar well used and liked apps to new and unfamiliar ones. Windows users accommodate to the well demonstrated fact that its applications seem not to have any similar look and feel across apps., and indeed one must act as if to learn a new interface each time one installs a new unfamiliar app. To get to my point: I’ve been on the look out for why so many presentations from bright articulate people are so woeful. Most of the woeful ones seem to come from Powerpoint on Windows users. As much as I have reason to believe social conformity and outright laziness and ignorance have much to answer for, I’m also suggesting that living on the Windows desktop to perform your professional work means you’re surrounded and influenced by poorly designed, childish, pixelated and garish icons. Which I suggest is not going to lead you – afford you, if you will – the desire to make visually pleasing slides as a major consideration, despite the overwhelming evidence that aesthetics has much to do with engaging audiences. Microsoft’s designers have much to answer for, in this regard, perhaps out of their own ignorance, hubris, and slavishness to internal decrees. That Powerpoint in its current iterations on both platforms still persists in using a floppy disk icon to convey “Save” – one of the most important features of any application – is most telling (See below next to the orange P for Powerpoint). It’s a real wonder, given most people under thirty have probably never seen a floppy disk in the flesh, and those over thirty would never want to see one again. This is not the case of an icon becoming a universal standard, but laziness of thought and design which permeates so much of the Windows look and feel. I’m of the belief it will take a whole generation to come up through the ranks to kill off this expectation about the quality of slides. This generation will have been exposed to dazzling graphics on TV and in the movies, as well as their own creative efforts hopefully using their school based Macs with Keynote, as well as the graphical charms embedded in their iDevices. Their expectations will hopefully influence current presenters to change their ways. 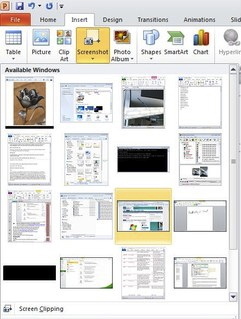 Until the current generation of Powerpoint users take on training in presentation graphics, brain-based learning or simply switch to Macs and Keynote, many of us attending presentations at conferences will needlessly endure examples of slide construction which reflect too much time subliminally taking in the Windows desktop and its lamentable icons as the de facto standard, without thought or reason.